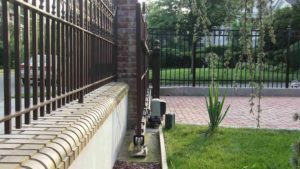 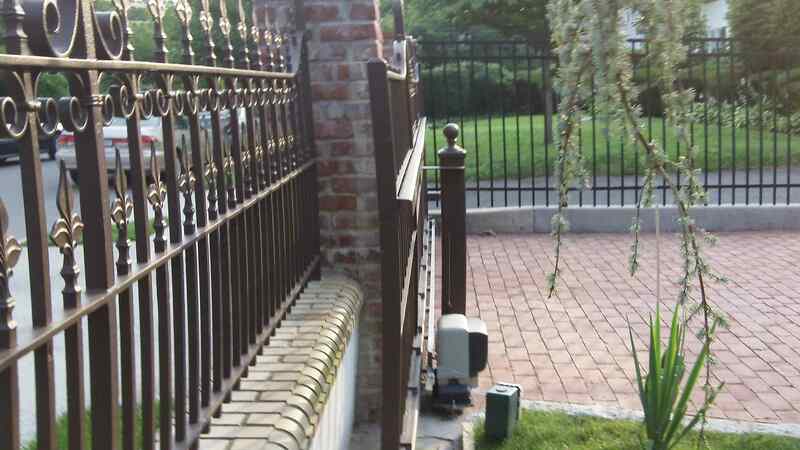 This residence in North Jersey is on a busy street and did not have the space for a swing gate. 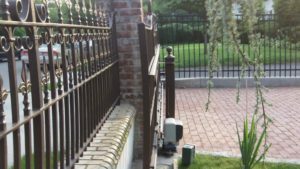 Client needed an ornamental sliding gate that would blend in with a matching fence without looking like a commercial sliding gate. 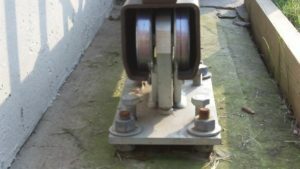 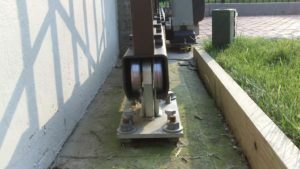 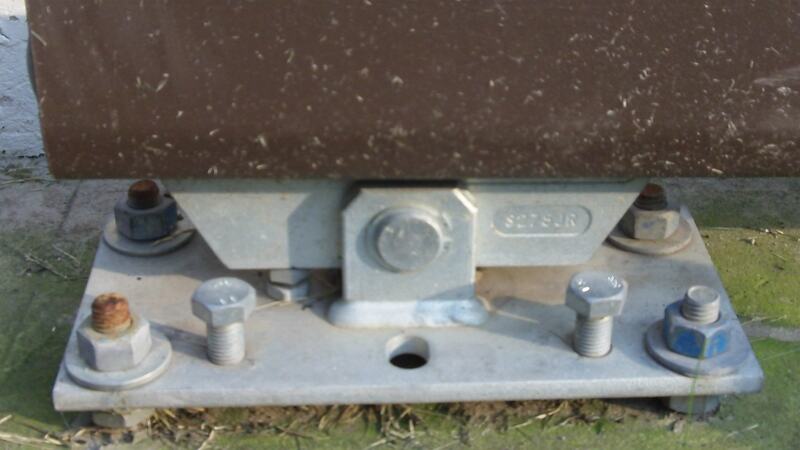 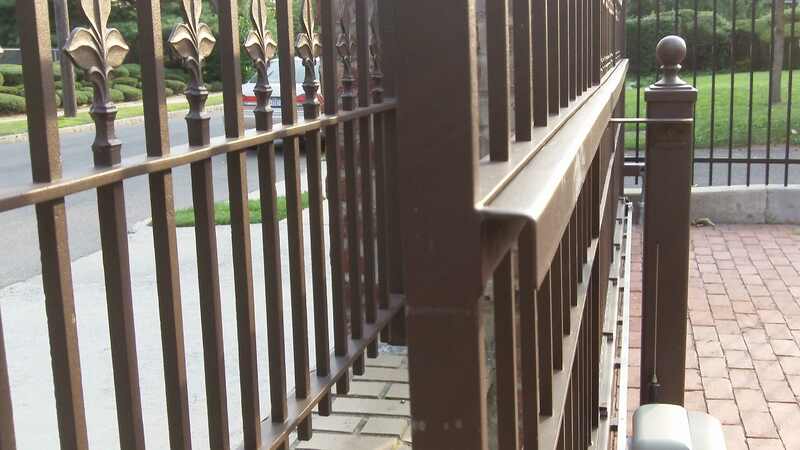 DuraGates was able to provide an elegant solution using the monorail guide CG-254 and the nylon roller CG-252. Model CGS-350.8G was used on this project along with an FAAC gate motor. 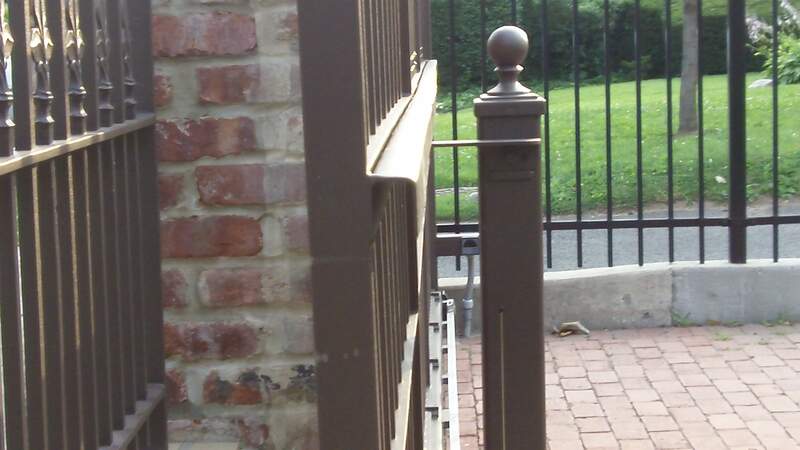 Once the gate is closed it blends in effortlessly with the matching fence. 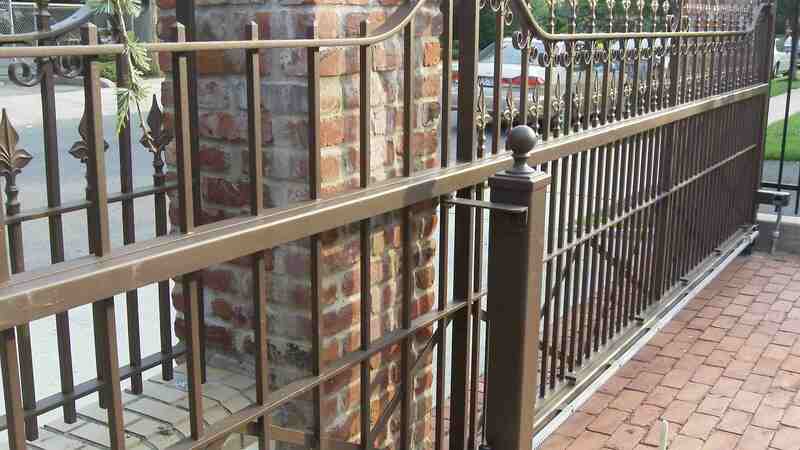 The client was able to maintain the arch look as well as add spear points. 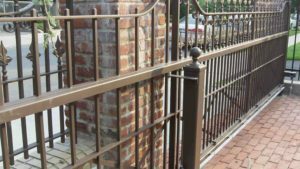 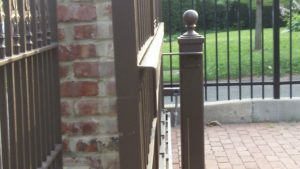 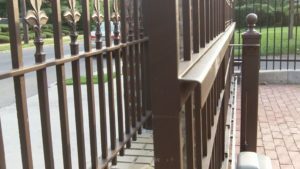 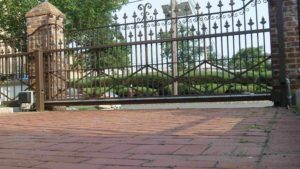 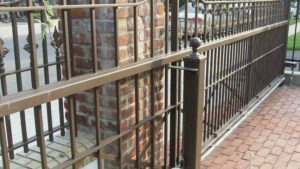 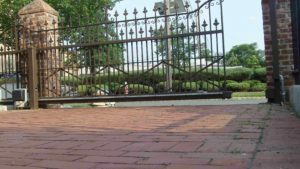 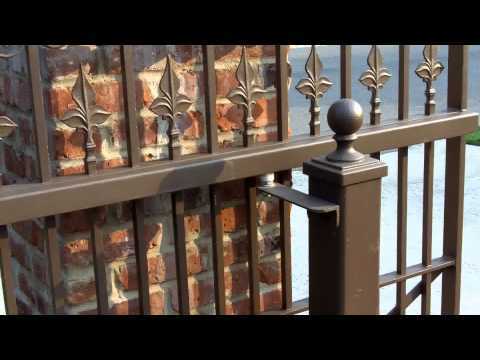 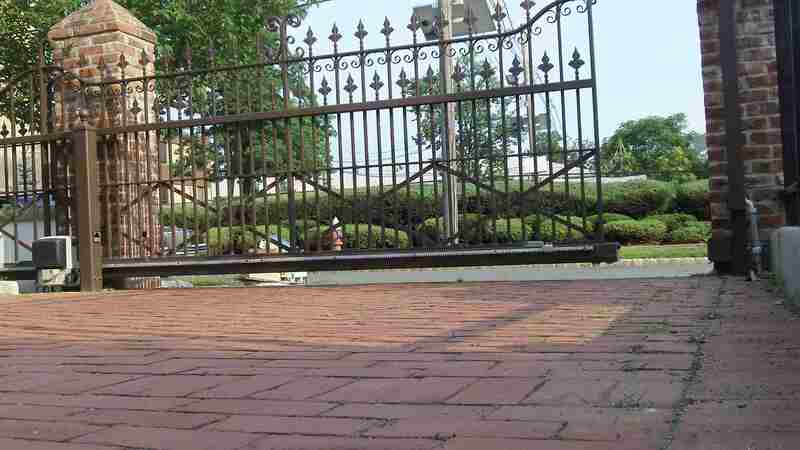 This wrought iron sliding gate was made possible in spite of space constraints.